It’s that time of year again..another Mutant Shorts. This time there’s a slightly broader theme: ‘A Dark Place’ is the topic to inspire short films this time around. It could be a cellar, a cupboard or the inside of a teapot. So long as it’s related to a living space, that’s fine. The rest is up to you. This Mutant Shorts will continue the long running theme of spaces, with previous competitions concentrating on the sitting room, the kitchen and even the bathroom. The (official) closing date for entries is the end of October, but the actual screenings will take place on Friday November 25th, from 7.30pm to 9.30pm, as part of the Trash Culture Revue hosted by MutantSpace. All welcome! Click on the link below to view/download the application form, with details on how to enter. 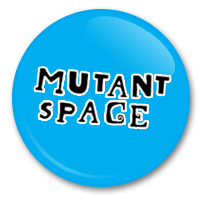 Or visit the relevant page at the MutantSpace site here. ← Friday May 6th 2011: come see the latest Mutant Shorts event!